As the nights get longer, the days get shorter, the cold wind blows and the sun begins to become a stranger – you get the drift. As the winter months loom, all the good habits we have picked up over the summer months that involve those nice warm evening runs by the river and long cycle rides start to become a difficult proposition. The weather starts to fight back, and quite frankly, that is not on. Here at OxGadgets, we are keen to remain fit, and keep the good fight going. 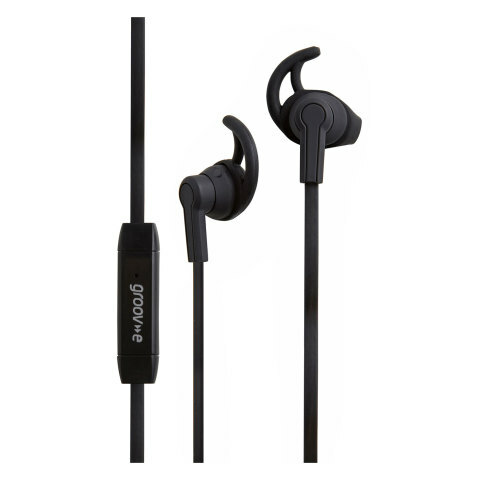 As such, we have compiled a list of headphones from Groov-E (groovy!) to keep you all going. Let’s start with the simplest and the lightest of them all. 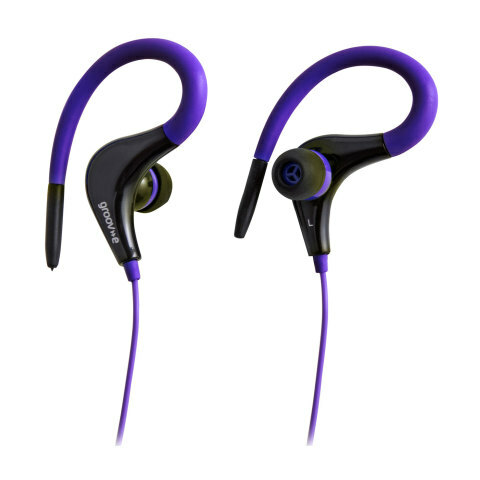 These earphones feature flexible ear-hooks that give you a comfortable fit, and do so by being extremely light weight. The 1.2m cord ensures that the length is long enough whether you are running or cycling, and the sweat resistant built means you don’t need to worry if you get the ‘groove’ on. Of course, to aid a perfect fit, the ear buds come in 3 sizes as well. The sound offered is fairly well balanced, thanks to the 10mm drivers and the 3.5mm gold plug. A great bargain! Lack of any inline remote or microphone means you can concentrate on the workout, rather than worry about taking those pesky calls. They can be bought off the website for £8.99, or even cheaper on Amazon (from only £5.24 right now!). They are available in blue, black, violet and white. If you prefer a bit more functionality and a better fit, the SportBuds step up the game. Featuring an anti-tangle cable (seriously, why doesn’t every headphone come with these? 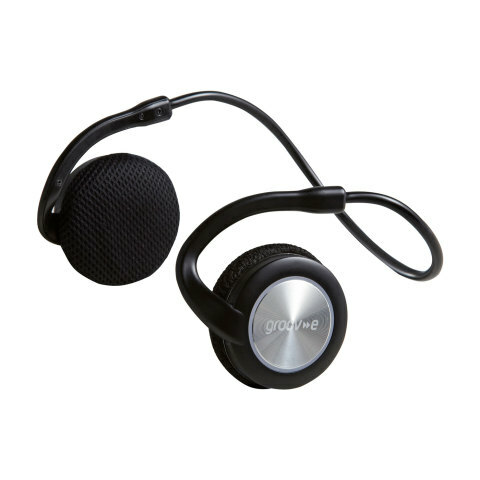 ), an inline remote and microphone to answer/make calls, as well as a smart and secure in-ear fit mean that you have plenty on offer. The in-ear fit is offered in 3 sizes and it is not only comfortable, but offers a secure fit while you are on your runs or that all-important workout. Being sweat resistant, you don’t need to worry about getting them wet. The sound offered is similar to the headphones above. A handy pouch means you can carry these around with you and pull them out whenever you are ready for action. 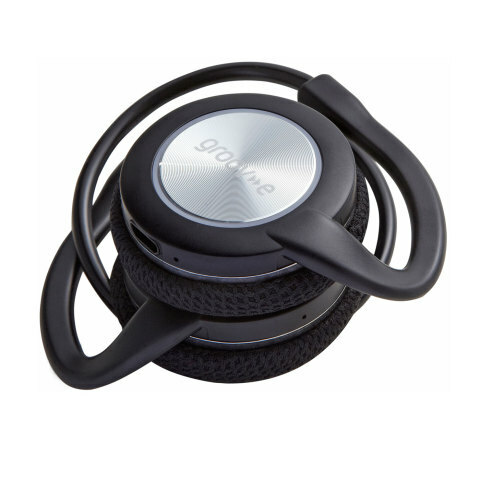 I am a big fan of behind the neck headphones, and the Motion Bluetooth headphones from Groov-E deliver that well. A comfortable fit means that you can wear them during long sessions, and being lightweight means that your ears don’t get tired. Once again, these are also sweat resistant and designed to be used in action. Bluetooth means these don’t need to be plugged in, and a single charge can last around 10 hours. They need a micro USB cable to charge, which is included. Once done, they can be folded and packed away in the handy travel pouch, making these extremely portable. The sound on offer is pretty powerful and heavy on the bass. A built in microphone means that you can use these headphones to make and take calls as well. They can be bought from the Groov-E website for £34.99, or better deals can be found on Amazon (£24% off, £26.70 right now).